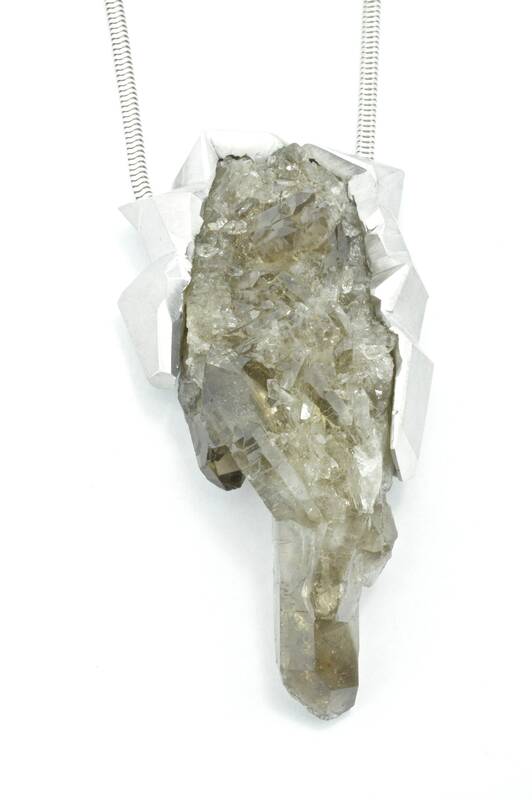 Shear Smoke, made out of sterling silver and raw smoky quartz crystal. 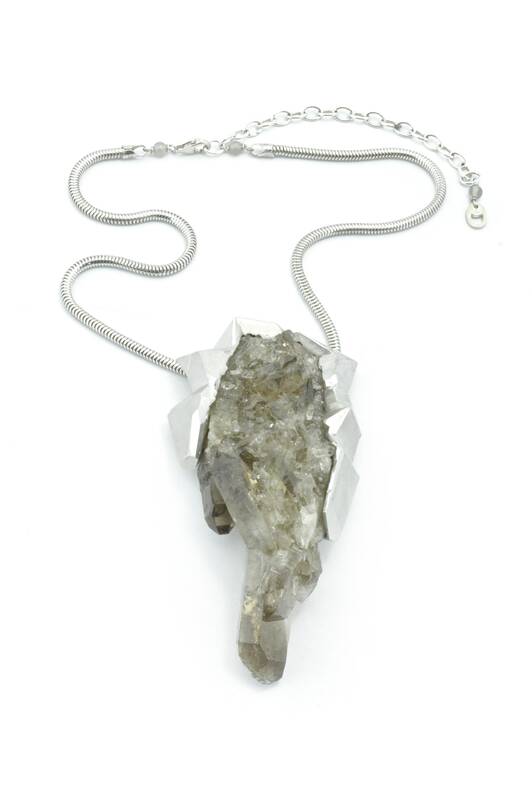 The piece is inspired by the stone with the metal wrapping around the crystal in facets which enhances its natural form. 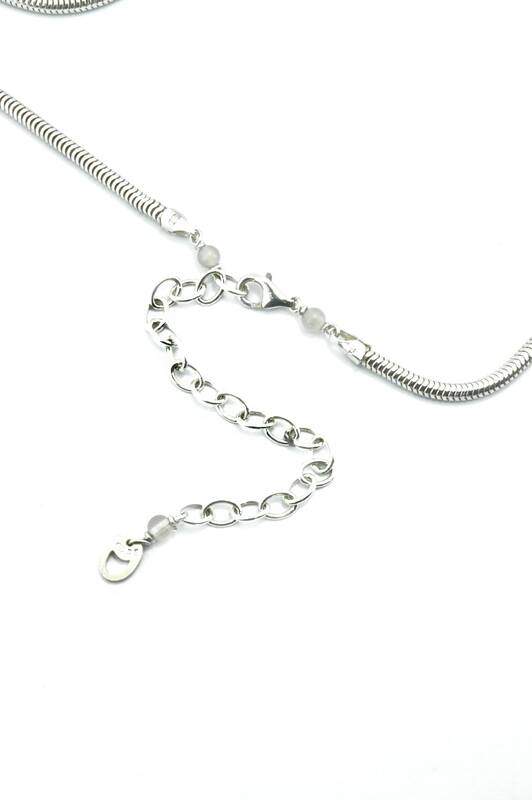 It has an adjustable chain that can be worn at lengths between 40cm to 59cm. 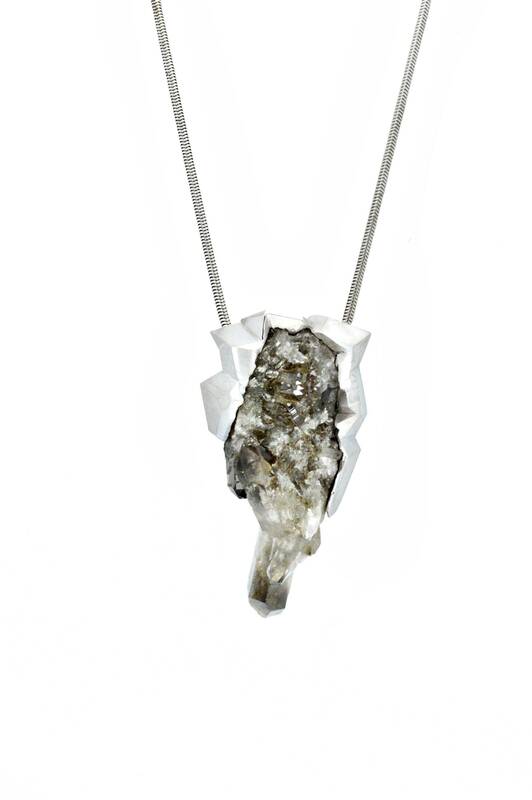 From the Wilderness Collection. 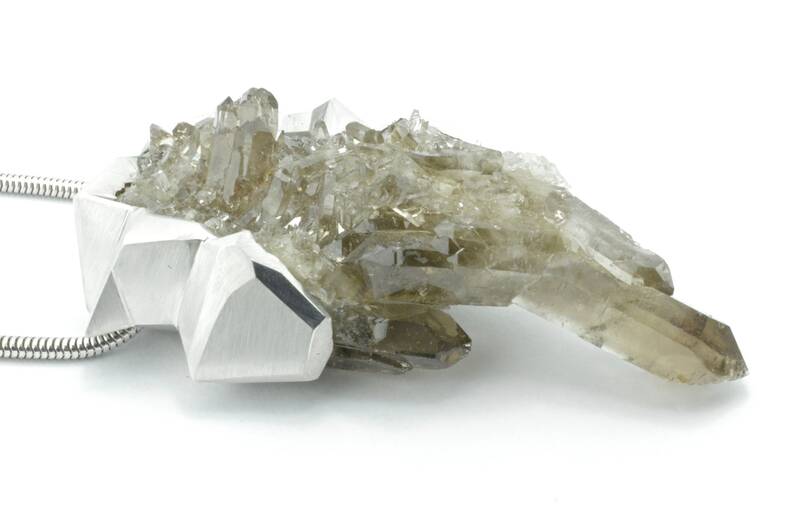 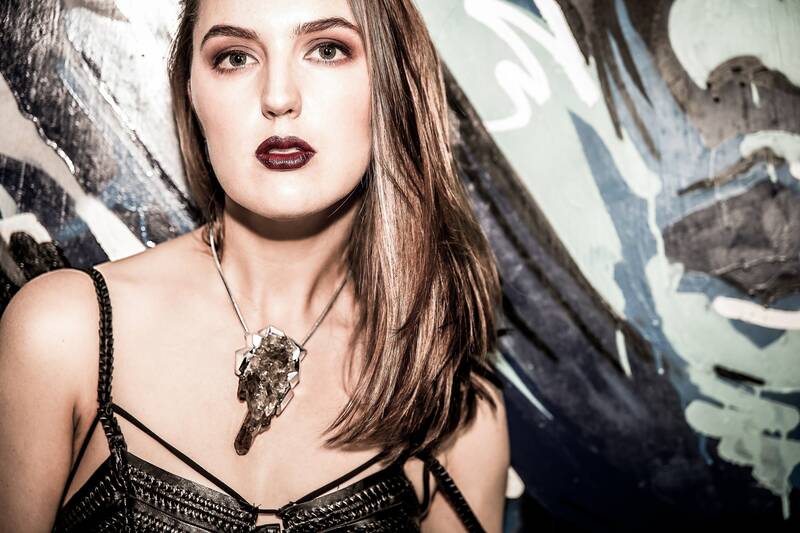 The very nature of the raw, natural, crystal materials used in the Wilderness Collection means that every piece is unique and hand-crafted to compliment the beauty of each particular stone.